When it is time to descale and sanitize your Elevation Series machine, any qualified service technician will be able to get your machine safe and clean faster than any machine before. The front panel can be remove easily with a phillips head screwdriver. From the off mode press the clean button to begin the descaling and sanitizing process. Remove top cover and splash-guard to easily access the curtain and water reservoir. Once water starts circulating, add descaling solution per manufacturers instructions. Reinstall splash-guard and top cover to keep splashing at a minimum and conserve chemicals. Descaling takes approximately 25 minutes. 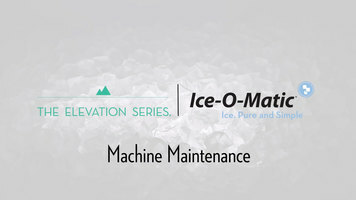 Once complete, the Elevation Series machine automatically shuts off. Indicated by a solid red and a solid yellow LED. To finish descaling, simply plush the clean button to end. Now that you've completed the initial descaling process, it's time to finish cleaning the Elevation machine by sanitizing. To sanitize, begin in the red off state and simply repeat all the steps you've just seen to descale. The only difference is, this time, you'll add nickel safe sanitizing solution to the sump per manufacturers instructions. When you've finished descaling and sanitizing, simply wipe down the surrounding areas with a clean rag. Return to freeze mode by pressing the power button. 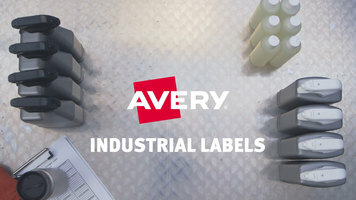 The Avery industrial labels are resistant to chemicals, abrasion, UV, tearing, and temperature. Watch this video to learn how to create your own. 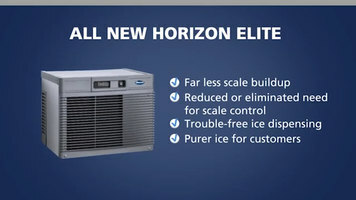 Learn how the new Follett Horizon Elite Chewblet ice machine can provide you an clean and energy efficient ice dispensing solution for your business.